Squeaky Books: YA Tournament of Heroines! I have some CRAZY exciting news to share! 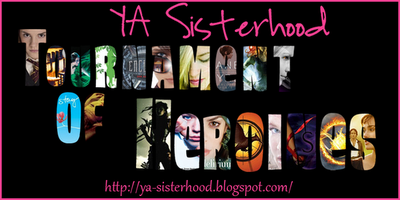 Some of you may be familiar with the tournaments regularly hosted by the YA Sisterhood. The've done villains, crushes, and they aren't stopping there! 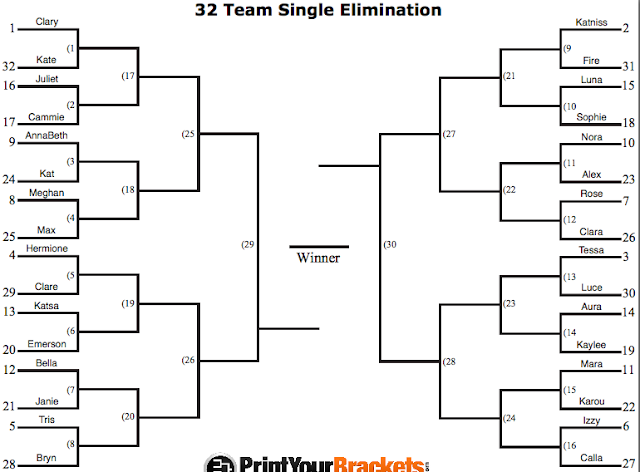 In December they're hosting theTtournament of Heroines! If you want more info you can click here. But the really exciting news? 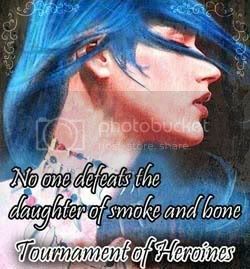 I get to be the advocate for Karou from Daughter of Smoke and Bone! Here's a list of the other advocates and competitors. 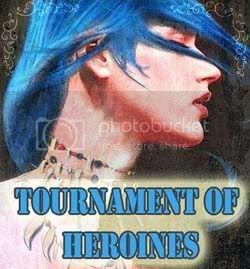 So that means that I will be leading the charge in Karou's journey through the tournament. 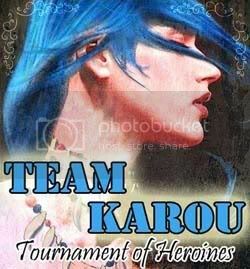 I'll be keeping you updated on whenever Karou fights so you can be sure to help her win! I've got a lot of plans for Karou, but almost everything depends on YOU! How can YOU show your support and help Karou win? LOTS of ways! VOTE! Every match is determined by votes. If you don't vote, she won't win! I'll let you know every time you can vote for her! EVERY vote is important! Follow me on twitter, and follow YA sisterhood on twitter. For that matter, you should follow Karou on twitter, and Laini! Everybody! TELL YOUR FRIENDS! Karou needs all the support she can get! 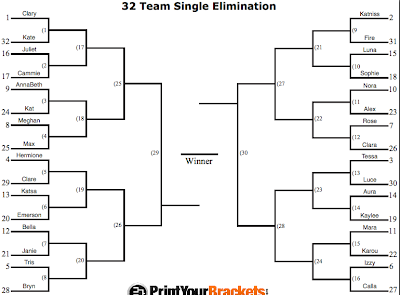 Post about the tourney on your blog, twitter, FB, etc. Grab a button/banner! I've got a bunch to choose from! Check them all out below! Woohoo! I love the buttons. Great tournament! 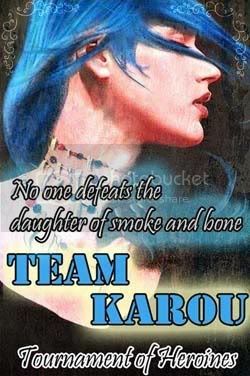 I would vote for Karou. I'm glad I was able to help with your research! :) This sounds really fun. Good luck!